He was imprinted at birth and weaning. This guy is so willing to please! 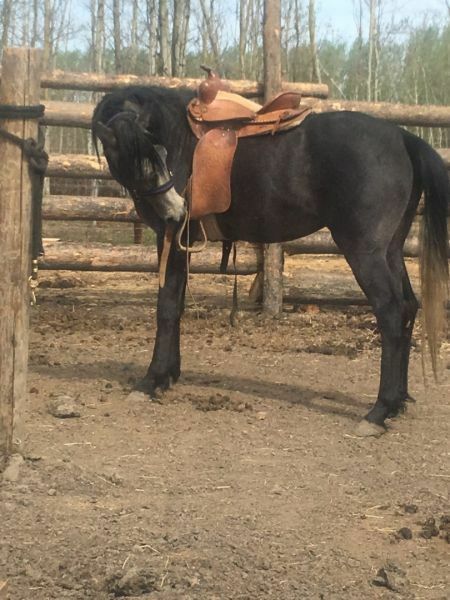 has a great disposition, friendly to the other horses, loves to jostle with the boys and shows great interest in work out. 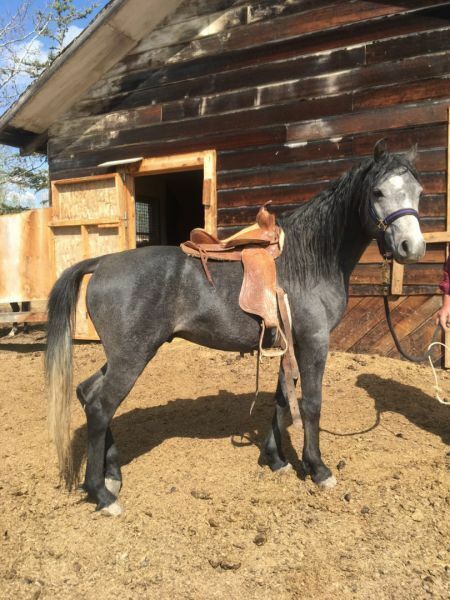 He’s finished the Join-up and has gotten to the saddle stage with no issues at all. Wonders what those stirrup things are tho’. 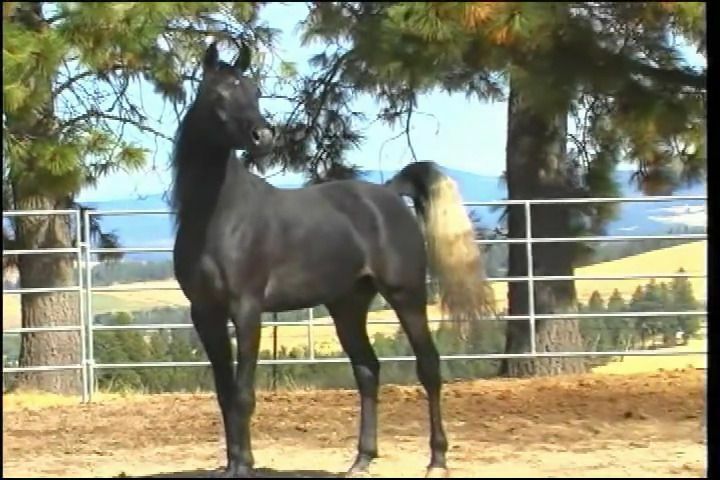 2018 was his first breeding year and next April his partner Baharrha Bint Bandar BG will deliver a foal. Yea!! 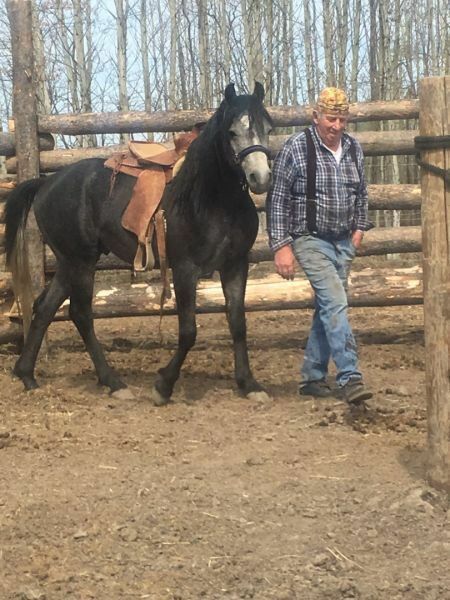 He was gelded in Sept. 2018.